$22.751 million on 2979 screens. Denzel Washington doesn’t often take on roles that threaten his “good guy” image, but he shows an occasional willingness to indulge his darker side. In 2004’s Man on Fire, Washington plays a self-described drunk and has-been former CIA agent named John Creasy. He goes to Mexico along the US border to visit with his friend Paul Rayburn (Christopher Walken) and we see how bad Creasy feels. At the film’s start, text tells us that one kidnapping occurs every hour in Latin America and that 70 percent of the victims don’t survive. Wealthy Samuel Ramos (Marc Anthony) worries about the threats in Mexico City, so family attorney Jordan Kalfus (Mickey Rourke) convinces him to get a bodyguard for his nine-year-old daughter Pita (Dakota Fanning). Rayburn talks Creasy into taking the job. When Creasy first starts to hang out with Pita, she tries to chat with him, but he remains distant and tells her he doesn’t want to socialize so he can focus on his job. He stays haunted by his past and considers suicide. Eventually, however, Pita’s charm wins him over and the two bond. Inevitably, the circumstance changes when a kidnapping attempt occurs. We follow Creasy’s endeavors as he does whatever he can to save Pita. Usually movies in particular genres tend to clock in with similar running times. When Fire landed on my plate, I figured it’d fill 110, maybe 115 minutes, as those represent typical lengths for efforts such as this. Imagine my shock when I saw that the flick rambled for a whopping 146 minutes. I don’t rigidly adhere to these genre/length conventions; a three-hour romantic comedy would be very unusual, but if it works, it doesn’t matter. Nonetheless, some kinds of films tend to work better at certain running times, and Fire could use judicious editing it doesn’t receive. Actually, the movie encounters many snips from the editor’s scissors, as the movie often goes with a choppy, herky-jerky visual style. Musical and effects snippets contribute to this feeling, all of which date the movie badly. I don’t mean that Fire looks dated 10 years after its release. Instead, I mean that it already looked dated the day in 2004, as the movie used a style more in vogue in the mid-Nineties. I got the feeling director Tony Scott really, really, really liked 1995’s Se7en and used its opening credits as his inspiration for Fire. Don’t get me wrong - I adored Se7en and still do. But any film that emulates it will inevitably feel like a wannabe and a product of a bygone era. Frankly, Fire often feels like a long music video circa 1995. For the film’s tone, it essentially goes back even farther, as its sense of vengeance comes across like something from the Eighties. I won’t say that Fire presents Creasy’s killing spree as totally justified and without ramifications - either psychological or practical - but I certainly get the impression from it that we’re meant to be on Creasy’s side of things. Yeah, the early parts of the movie purport to demonstrate his emotional pain after a life of violence, and we see how his closeness to Pita brings him back to humanity. However, that feeling gives his quest for vengeance an apparent sense of justice. We don’t get an impression that Creasy will lose anything as he slaughters the involved parties. The movie doesn’t quite bask in and glorify the violence, but it doesn’t do much to condemn it. And make no mistake - you’ll see some nasty material in Fire. The movie doesn’t depict the violence all that graphically much of the time, but Creasy indulges in some sick forms of killing, such as an explosive suppository. Creasy also coolly tortures the folks he interrogates, and given the film’s lack of complications, it comes across as though we’re supposed to see these actions as justified. Fire involves little gray area, as it mainly concentrates on simple black and white good and evil. That applies to the Creasy character as well. On the surface, he appears to present a complex personality, as we see him open up and emerge from the darkness in which he resided before he met Pita. Plenty of room for a multifaceted personality emerges, especially when Creasy goes back to the dark side during his murderous pursuit. However, the movie looks at things in such an uncomplicated manner that Creasy never turns into much more than a stock character. Much of this wouldn’t bother me if Fire offered a more satisfying take on its subject. Unfortunately, it seems like a definitive example of style over substance. Scott appears so concerned with the jagged visuals that he doesn’t concern himself with telling the story. It doesn’t help that he uses odd and distracting techniques along the way. In addition to the jerkiness, he’ll do things such as run English text on the screen to echo statements. Fire features a lot of subtitles to translate Spanish, but Scott highlights certain English lines with onscreen words as well. Why? To make an obvious movie even less subtle. That sense of being beaten over the head with themes and concepts causes much of Man on Fire’s undoing. Frankly, it feels like Scott stretches for the sake of stretching. He always was a slick visual filmmaker whose films don’t feature much depth, but they succeed moderately when he sticks with his strengths. He put on his David Fincher suit here, unfortunately, and it didn’t work. 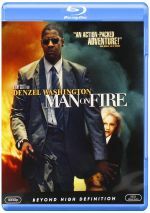 Man on Fire appears in an aspect ratio of approximately 2.40:1 on this Blu-ray Disc. Across the board, the transfer reproduced the movie in a very satisfying manner. Sharpness consistently appeared crisp and detailed. At no time did I discern any signs of unintentional softness or fuzziness, as the movie always came across as well-defined and accurate. Some shots were purposefully distorted, but I didn’t count them as an issue. Moiré effects and jagged edges showed no concerns, and edge enhancement failed to mar the presentation. Print flaws were non-existent. Stylized grain popped up at times, but otherwise the movie seemed clean. Fire went for a rather cool look, which meant that colors usually appeared desaturated. Nonetheless, they came across as accurate and distinct within those parameters. The hues rarely looked natural, but they weren’t supposed to generate that appearance, so I was satisfied with the sickly tint found during much of the movie. Black levels seemed to be deep and rich, while shadow detail was clear and appropriately opaque. Mostly Fire offered a strong transfer. Music dominated the DTS-HD MA 5.1 soundtrack of Fire. The score and song snippets mixed together well to create the appropriate feelings of tension. Stereo separation was excellent, and the music spread to the surrounds neatly at times. Effects played a small role during the film’s first half, but they were appropriately placed and they meshed together well. As Creasy went on his rampage, the second half demonstrated more active material and brought the non-musical elements of the mix to life. The surrounds bolstered those sequences nicely and gave the movie a fine sense of atmosphere. Audio quality was excellent. Speech consistently sounded natural and distinctive, with no edginess or problems connected to intelligibility. Effects were concise and tight, and they showed no distortion or flaws. Music shined the most brightly, though, as the score and songs demonstrated fine dynamics. Highs were clean and bright, and bass response was consistently deep and firm. I felt especially impressed with the reproduction of the Nine Inch Nails’ snippets, as they offered terrific power. Fire came across as a little too unambitious in regard to its soundfield to get into “A” territory, but the high quality of its audio made it a solid “B+” that bordered on an “A-“. 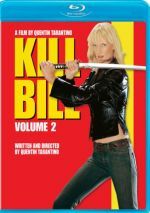 How did the picture and sound quality of this Blu-ray compare to those of the original DVD or the 2005 Special Edition? Audio showed more depth and punch, with a greater sense of warmth and richness. In terms of visuals, the Blu-ray offered absolutely stellar clarity and delineation; by comparison, the DVDs looked soft and mushy. They weren’t bad in objective terms, but they simply couldn’t live up to the nearly flawless definition on display here. Although prior releases of Fire included good supplements, almost none of them appear on the Blu-ray. It provides trailers for Fire, The Sentinel, Mr. and Mrs. Smith and Entrapment - and that’s it! None of the existing commentaries, deleted scenes or documentaries. A dark tale, Man on Fire is the kind of film I normally like. However, the flick’s emphasis on style over substance seems extreme, and the distracting visuals make it difficult to take at times. It manifests occasional moments of interest but not many. The Blu-ray presents excellent picture and very good audio but it lacks extras. Fans will love the look and sound of this release, but the absence of pre-existing supplements disappoints.